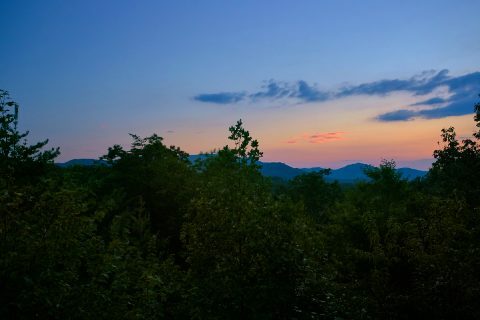 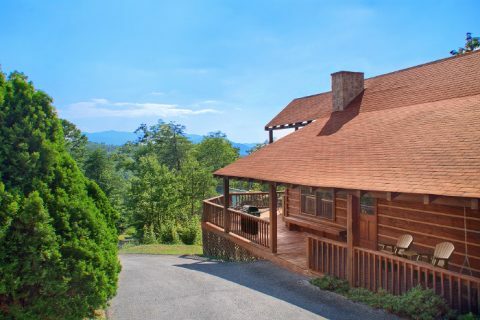 "Big Sky View," a Tennessee vacation rental located in Sky Harbor Resort, offers vacationers amazing views of the neighboring Smoky Mountains. 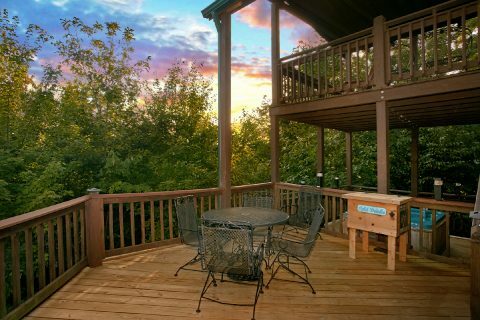 The unique covered deck of this log cabin rental is reminiscent of a tree house with its multiple levels, with each level offering a better view of the nearby mountains. 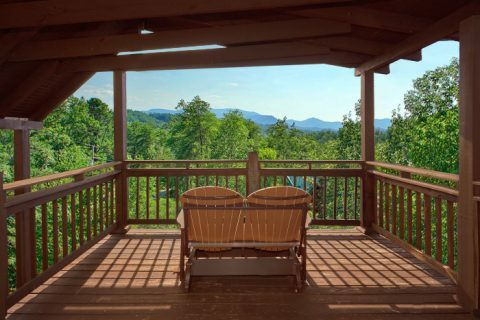 This 2-bedroom convenient location between Pigeon Forge and Gatlinburg allows easy access to the area's most popular attractions. 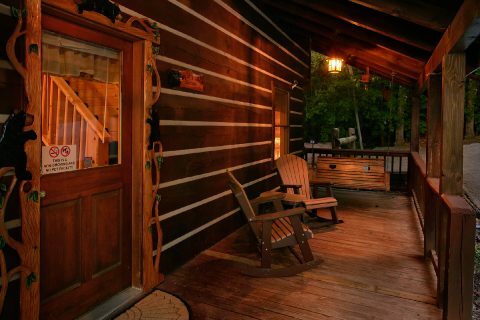 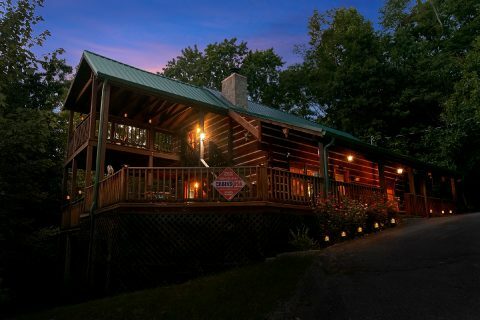 At the same time, this cabin's tranquil distance in a wooded Smokies setting provides guests with a chance to enjoy the quiet and peace of nature. 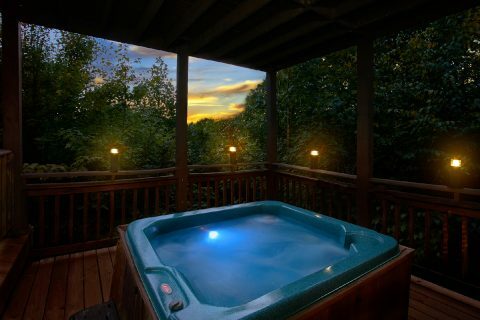 Relaxation comes easy in the large sunken hot tub where you can soak in the gorgeous mountain views. 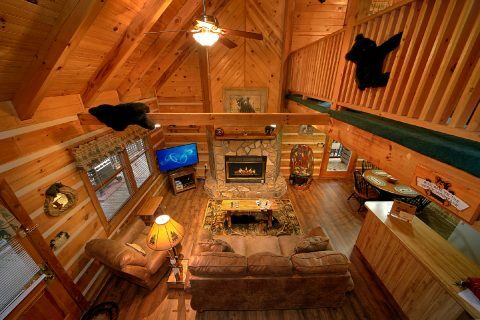 Indoors, guests can enjoy their favorite movie on the big screen television or have hours of family fun playing air hockey or foosball. 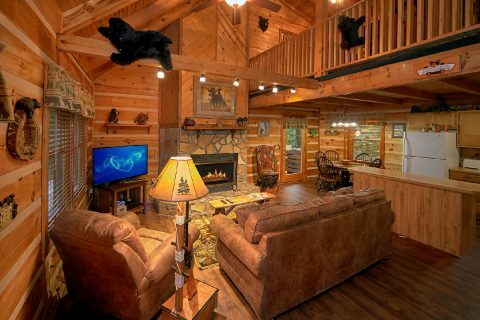 This rental comes complete with cable, HBO, and Showtime for watching your favorite shows and movies! 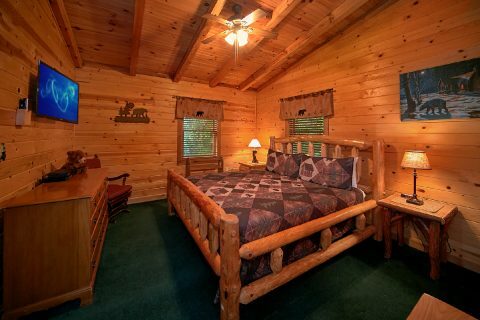 Additionally, WiFi Internet access allows guests to stream entertaining music and videos in their rental. 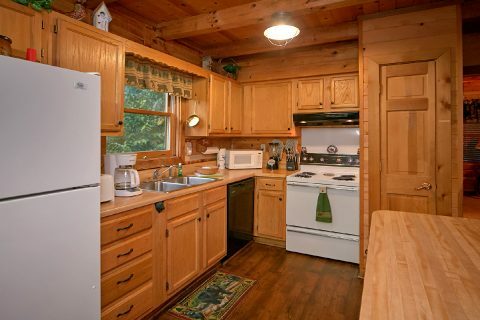 Your cabin's full kitchen is another convenient amenity. 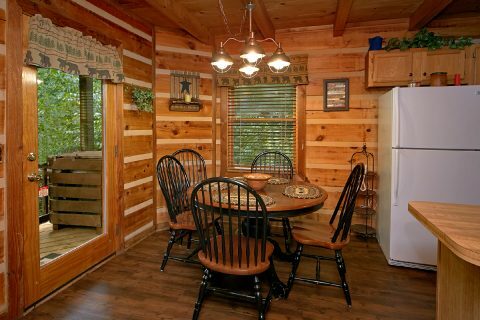 You can save money on costly dinners in town simply by cooking delicious dinners at home with the help of your cabin's gas grill. 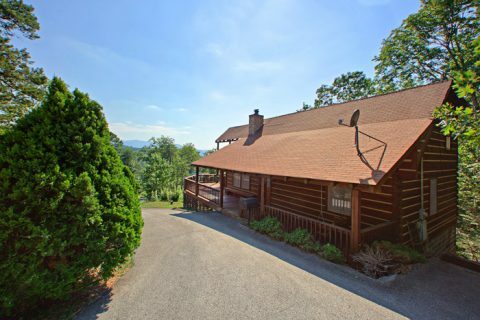 "Big Sky View" is an excellent Tennessee vacation rental for guests seeking to unwind. 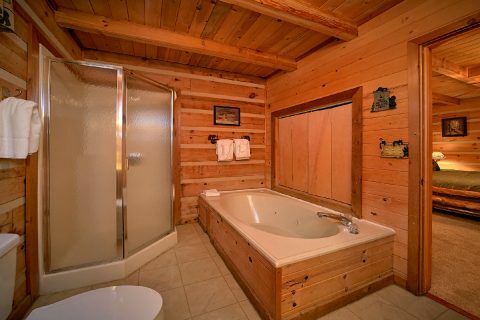 After a full day’s adventure in the Smokies, enjoy the large indoor whirlpool tub in the master suite for some private R&R. 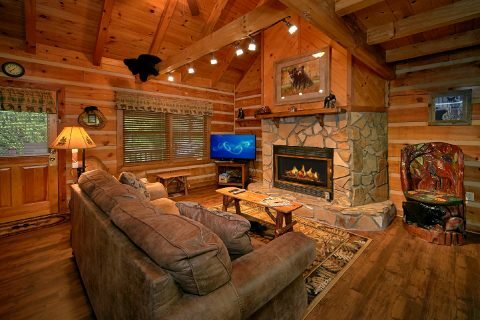 During winter months, the gas log fireplace is a wonderful centerpiece of warmth and ambiance after a day’s visit to nearby Ober Gatlinburg Ski Resort. 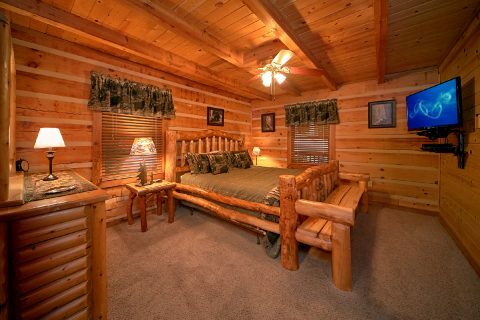 Get an immediate DISCOUNT when you book this 2-bedroom vacation rental in Tennessee online with Cabins USA! 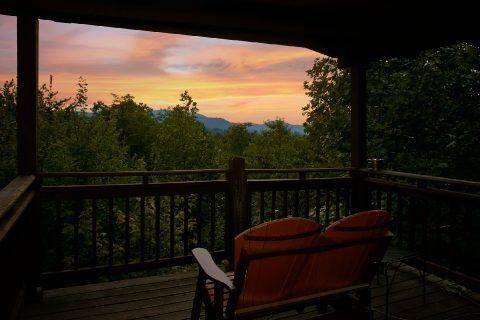 Start your family’s escape to the Tennessee Smoky Mountains today!